Conveniently located on 128th Street in Kirkland, ATI Physical Therapy is the premier choice for personalized physical therapy in a friendly and encouraging environment. Known for exceptional results and an upbeat atmosphere, ATI Physical Therapy provides physical therapy and sports medicine. Hillarie graduated from Western Washington University in 2010 with a Bachelor of Science degree in Kinesiology and a minor in Psychology. She earned her Doctor of Physical Therapy degree from the University of St. Augustine for Health Sciences in 2013, graduating with honors. Hillarie enjoys treating a variety of patients and conditions including postoperative care, temporomandibular joint dysfunction (TMJ), low back pain, and running injuries. 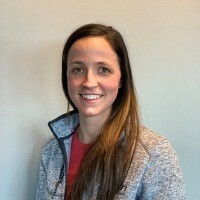 She has taken extensive manual therapy and continuing education courses focusing on tendinopathies, whiplash, pain science, aquatic therapy, and orthopedic conditions. Rachel graduated from the University of Michigan in 2011 with a Bachelor of Science degree in Kinesiology. She earned her Doctor of Physical Therapy degree from Northwestern University. 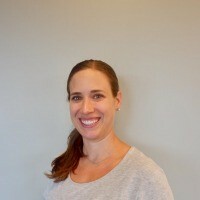 Rachel enjoys working with a wide range of patient populations and specializes in using manual techniques as well as functional exercises and therapeutic activities to return patients to optimal levels of function. She is certified in the Graston Technique® and is currently pursuing her manual therapy certification. When not in the clinic, Rachel enjoys biking, running, snowboarding, and hiking with her husband and dog. She has participated in two Half Ironman Triathlons. Amanda graduated from San Diego State University in 2009 with a Bachelor of Science degree in Kinesiology. She went on to earn her Doctor of Physical Therapy degree from Chapman University in 2012. 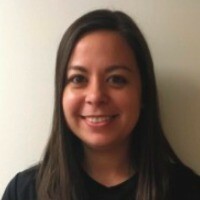 Amanda enjoys working with a wide range of patient populations and specializes in using manual techniques as well as functional exercises to return patients to optimal levels of function. She also is a board certified Orthopedic Clinical Specialist (OCS). 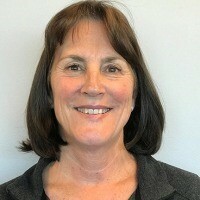 Her approach focuses on creating an environment rich in patient education, self-management skills, and attention to proper exercise form and techniques. Amanda grew up playing competitive softball and volleyball and recently ran her first marathon. In her spare time, she enjoys hiking in the great outdoors with her husband Dan and their two dogs, Piper and Kody. Justin earned his Doctor of Physical Therapy degree from the University of St. Augustine for Health Sciences (FL). He has 8 years of clinical experience, most in the outpatient orthopedic setting. 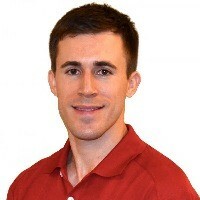 Justin has a strong background in manual therapy, segmental spinal stabilization, and patient education. With a personal interest in postural restoration, he is working toward becoming certified. Justin treats clients of all ages, backgrounds, and fitness levels. He is experienced with pre and postoperative care, work and/or sports-related injuries, as well as injuries related to motor vehicle accidents. Away from the clinic, Justin enjoys hiking, photographing the landscape, and reading. 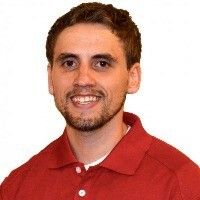 Chad earned a Bachelor of Science degree in Kinesiology from Washington State University, and his Doctor of Physical Therapy degree, with an emphasis on manual therapy, from the University of St. Augustine for Health Sciences. 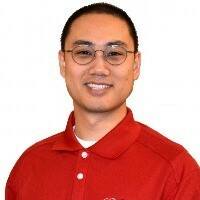 He also has completed continuing education in manual therapy and spinal stabilization/rehabilitation. Chad utilizes a holistic style of treatment to help patients progress towards their goals and to improve impairments, symptoms, and function. He treats patients of all abilities and backgrounds, but especially enjoys working with athletes who are working toward return to sport or recreational activities. Felix graduated from the University of California, Berkeley with a Bachelor degree in Environmental Science. He went on to earn his Doctor of Physical Therapy degree from Mount St. Mary's University. Felix has experience treating all orthopedic conditions, including musculoskeletal pathologies and postsurgical conditions, as well as motor vehicle and sports injury cases. In addition, he has experience treating concussion and dizziness/vertigo pathologies. Outside of work, Felix enjoys spending time with his dog and participating in outdoor activities. Elise graduated from the University of Pittsburgh in 2013 with a Bachelor of Science degree in Exercise Science and Physical Activity. She earned her Doctor of Physical Therapy degree from Seton Hall University in 2017. Elise has experience with and special interest in the pediatric population as well as return to sport. She has taken continuing education courses with emphasis on spinal stabilization, neurodynamics, pain science, and instrument assisted soft tissue mobilization. When not in the clinic, Elise enjoys cooking, traveling, and staying active with hiking and resistance training, in hopes of one day becoming a Ninja Warrior. 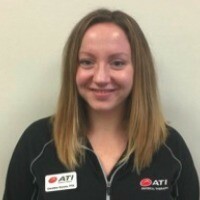 Caroline is a Physical Therapist Assistant (PTA) at ATI. She earned her degree from Lake Washington Institute of Technology where she currently serves as a faculty member for the PTA program. As an APTA board certified Clinical Instructor, Caroline has a passion and talent for mentoring students. She also is certified in Astym® and Functional Movement Screen. Caroline believes in patient-centered care and focuses on creating treatment programs that cater to an individual's lifestyle and goals. She enjoys working with a wide range of patient populations, but has a special interest in women's health and pre/postpartum patients. Her clinical experience includes treating patients for postoperative care and musculoskeletal pain. In addition, she is skilled with shoulder, foot, and ankle patients. In her spare time, Caroline loves to spend time outdoors with her husband and two boys, and to coach her son’s soccer team. Jillian graduated from DePaul University in 2010. Her passion for helping people led her to massage. While studying at the Cortiva Institute, she fell in love with learning how the human body works and how massage can help increase function while decreasing discomfort. As a lifelong learner, she is always looking for new approaches to integrate into her treatment style. 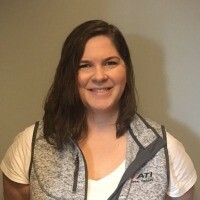 Jillian has taken many continuing education classes in order to expand her knowledge in injury treatment and deep tissue techniques. 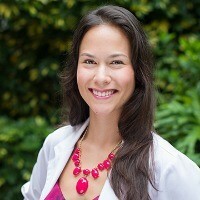 In her practice, she combines a variety of modalities including deep tissue, myofascial release, trigger point work, neuromuscular techniques, and cupping therapy. Jillian personalizes each treatment, helping her patients reduce their pain and live their best lives. As a true Seattle native, she likes to be outside, hiking or skiing in the mountains and riding her bike around Lake Washington. Josh graduated from the University of Washington with a Bachelor of Arts degree in Interdisciplinary Arts. He earned his Physical Therapist Assistant certification from Whatcom Community College and has taken several continuing education courses to gain further knowledge of neurological pathologies, complex medical patients, and instrument assisted soft tissue mobilization techniques. His clinical experience includes pre and postoperative care, orthopedics, musculoskeletal pain, work hardening, and postural /body mechanics education. Josh is an avid cyclist and participates in ultra-distance events in and around the Pacific Northwest. He also is a stand up paddle boarder. Lisa graduated from Bastyr University with a dual degree in Nutrition and Exercise Science. She went on to complete a 2-year, rigorous dietetics program, becoming a credentialed Registered Dietitian/Nutritionist. Lisa has a passion for nutrition and continues to educate herself on the most current nutrition science. She believes in empowering her patients to become their own best health advocates. Lisa works with patients who are dealing with diabetes (or pre-diabetes), obesity, digestive issues, heart conditions, and food sensitivities. She reminds them that improving their nutrition status significantly improves their health. To request a complimentary screening, call (425) 820-0869 or visit your local Kirkland ATI within 24-48 hours to schedule your first appointment. Our clinicians will develop a custom treatment plan that addresses pain, gets you moving and lowers the chance for future injuries. Plus, we’ll make it fun along the way. ATI accepts virtually all major insurance carriers and will verify insurance for you. Achieving international recognition for its outcomes in workers’ compensation rehabilitation, ATI offers innovative solutions that deliver efficiencies and high levels of satisfaction. We have a simple referral process and performance-based methodology to help increase strength, endurance and cardiovascular function with the goal of returning you back to work. 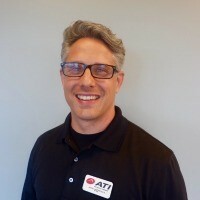 Visit your local Kirkland ATI to learn more. From injury education and prevention, to conditioning and rehabilitation, ATI provides on-site athletic training services to schools and clubs in Kirkland. We are experts in preventing, evaluating, treating and rehabilitating injuries, and will coordinate care with your physician, parents and school/club officials to get you back in the game. Visit your local Kirkland ATI to learn more.